Nathan Crane opens up The Self Reliance Summit with interview of Mick Dodge. The Mick is the legend in himself. The Mick stepped away from the isolation of modern life and followed his feet deep into the lands of the Olympic Mountains to remember, recover and re-store his relationship with what is ‘Wild’. 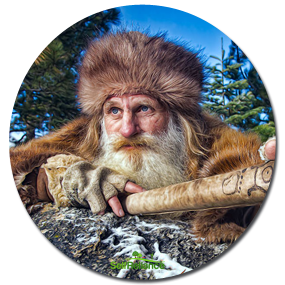 The Mick Dodge TV Show has inspired over 6 million viewers to discover the forest Mick calls home. He and Earthgym co-founder Jacquie Chandler weave the connection of Mick’s walk with the geotourism opportunities by sharing the Earthgym practice at Workshops, EarthDays, Art Walks, Schools, Colleges, Classes, and Retreats since 1996. Today’s discussion is The Art of Dodging and the Secret of IT. He spoke about the barefooting, being one with nature, learning things for oneself from nature and being in nature healed him from his suffering. The next interview today is with Laurie Neverman. Laurie mixes the best of traditional skills and modern tech with a twist of humor to present self-sufficiency information in a way that makes sense to everyone. 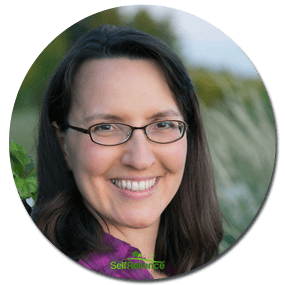 Laurie is the founder of CommonSense HomeSteading and provides valuable resources and information for living a more self reliant lifestyle. John Crane and Laurie Neverman speak for The Permaculture Revolution. From backyards to deserts to degraded Midwestern farmland, Permaculture is revolutionizing food production. Learn how you can develop a healthy, productive ecosystem that heals the soil while producing a diversity of food. They discuss about mixing various crops so that top soil can be regenerated as we grow what we need. Replays are available free to watch for period of 48 hours.